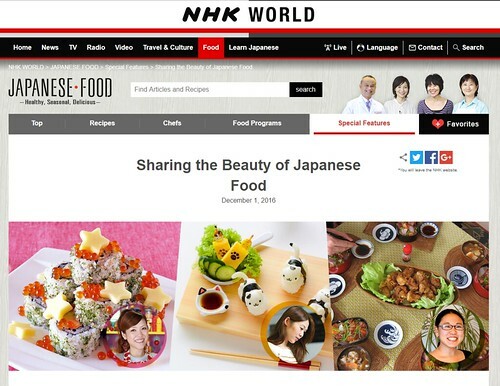 Nagomi Visit's Chief Operating Officer was asked to talk about our program and Japanese food for NHK World. The most memorable part of the interview was the question "Please tell us what you think is the beauty of Japanese food?" It took us a few days to come up with an answer that best represents how we feel about Japanese food. "There is a lot of beauty in Japanese food but we are not here to exceptionalize Japanese food but rather hope more people do come to realize that there is a lot of variety in Japanese food than they might expect. There is a lot of history and stories that have yet to be discovered. While the fundamentals might remain the same, everything including Japanese home cooking keeps on evolving so we do hope everyone around the world gets to experience it." Interviews are always an amazing opportunity to self reflect so Arigato to NHK World.